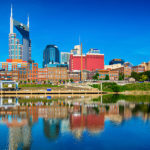 Home Commentary Shame on Nashville: Dr. Shawn Joseph Deserved Better! Shame on Nashville: Dr. Shawn Joseph Deserved Better! It’s impossible to isolate the despicable acts of certain members of the MNPS school board from Nashville’s greater collective character. Last Friday, Joseph was barred from entering a school board retreat as members of the board conspired against him behind closed doors in the presence of a Metro lawyer. On Monday, it was reported that a school board member intends to file a motion to terminate Joseph’s contract nearly a year before its scheduled ending. On April 9, the school board will conduct a vote to terminate Joseph’s contract. “After the last board retreat, I realized that my value system no longer aligns with that of some on this board,” Joseph stated in response to the incident. In the face of his potential forced ousting, Joseph has maintained that he does not plan to resign, although he also has no intentions to renew his contract, which ends in June 2020. The fight to bring down Shawn Joseph has been slow and painstaking. In an unexpected letter of resignation, school board member Will Pinkston pointed out the “racially motivated attacks” perpetrated at the hands of “at least one-third of the body” who have acted in a coordinated fashion to dismantle the Joseph administration. One particularly disgusting incident, which Pinkston rightfully makes specific reference to in his letter, involves a Female White school board member’s decision to incite and encourage masked protests against the embattled director—a threat that felt highly reminiscent of the Ku Klux Klan whose roots were begun not very far South of our city. Perhaps most concerning, is that our progressive city failed to collectively call for that school board member’s resignation. We as an “It City” did not collectively say, “This is not who we are! We are better than that!” Indeed, the elected school board is intended to be representative of Nashville citizens and their values. Yet, this same school board member who plead her innocence in wake of her actions offered no such courtesy to Dr. Joseph at any time nor those Board members who follow her. Instead of supporting a director of schools who more closely resembles the increasingly Black and Brown faces of MNPS 86,000 student population, this school board has come to represent and even spearhead some of Nashville’s most unsettling intolerance for powerful people of color. Plazas got it wrong. This isn’t just about finding another director. The larger, more pressing issue is that we have a school board who have allowed this travesty to happen. This is deep-seated, self-serving systemic racism that has been executed with precision by people who were elected to serve the people of Nashville. Joseph has become a fractured school board’s personal ax to grind. And, no Prominent leaders from the business community, Faith community, Education Advocacy Groups nor Political Leaders other than those who look like Dr. Joseph-could stand up in their positions of power to condemn the board’s undue treatment of Joseph. “Given that it took two tries over two years to land the latest schools director and given the acrimonious nature of school board politics, citizens might rightfully ask, who would want the job?” he asked. Wrong again, Plazas. Given that the entire city watched idly by as one of its most powerful leaders derailed by blatant acts of subservient racism in broad daylight, why would any qualified candidates of color want to even consider Nashville as a great place to uproot and relocate their families? How can the rapidly growing city of Nashville present itself as welcoming and inclusive to all prospective citizens, including those of color, when our true color showed itself by our silence during the character assassination of the first African-American Director of our Public Schools?